Using DT revolutions front (radial) and non-drive side (2x) and DT Competition spokes on the drive-side (2x) for a 24/24 hole count, the newest edition of the HED Belgium C2 rim built up flawlessly for this 140 lb rider with a penchant for going up hills fast and loving dirt. 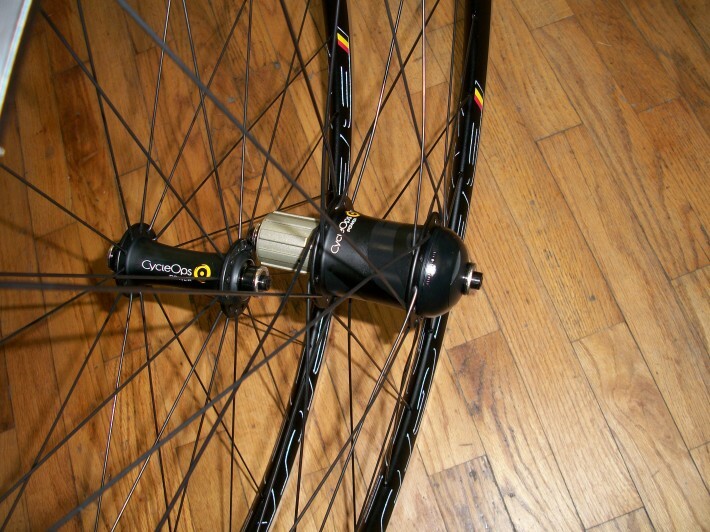 I’ve been keen on using the new CycleOps front hubs as well as the weight and bearing quality is very good. Here’s another set I recently built with the 23mm wide Kinlin XC 279 rims 24 front in a 2x with Sapim CXray bladed spokes, 28 rear DT Competion 3x. Aero and stiff for a 190 lb racer. 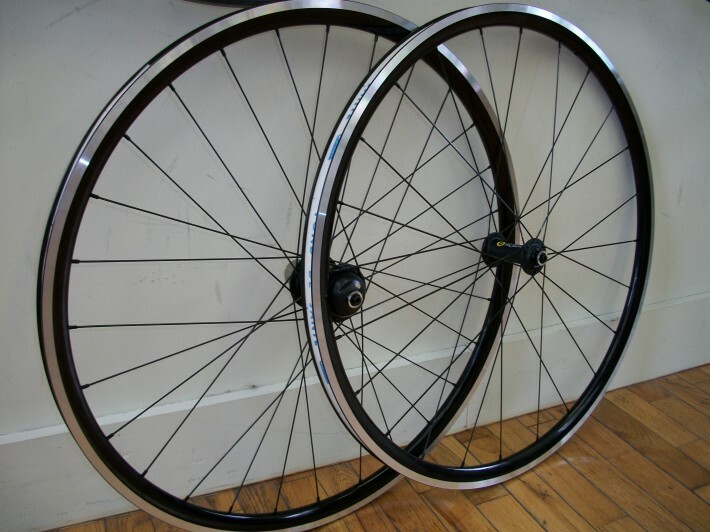 These came in @ 1700 g.
The Kinlin rims are pinned and sleeved high grade aluminum vs. the HED rims which are scandium alloy and have a welded seam making them a bit more expensive, but, pound for pound the Kinlin rims hold there own in some of the harshest riding conditions you can take a road/ cx bike. By the way, the weights for these wheels is unheard of with Powertap hubs and for the last part of a decade many racers have shyed away from using Powertap hubs to race on as the weight was too high. With the exception of using carbon rims, it’s been very difficult to get these wheelset weights down. 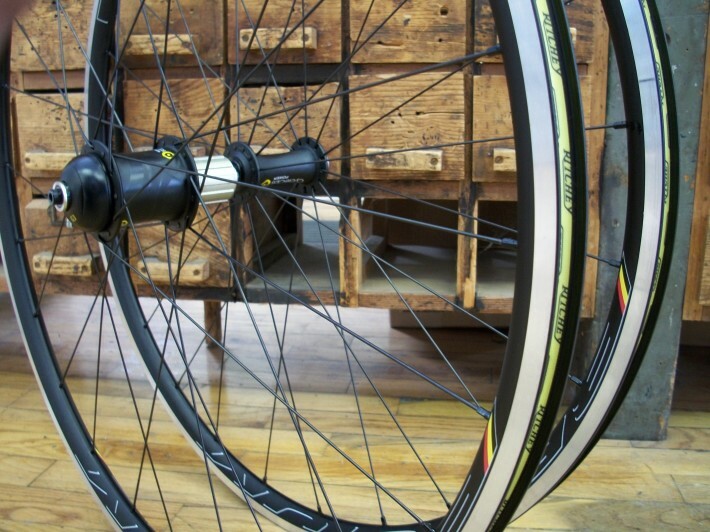 These wheelsets, and particularly the G3 hub open the door for cyclists to build power into an economical race wheelset.